“Native species of stream insects that have sensitive requirements for flow and water quality, and usually live in the rapids of shallow rocky riffles, were especially vulnerable to prolonged drought,” Herbst said. 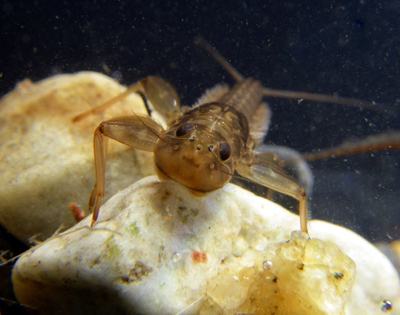 “What we saw was pretty disturbing, with a diverse and rich fauna of stream invertebrates becoming decimated, especially as the smaller streams became intermittent and sections of the channel dried,” Herbst said. 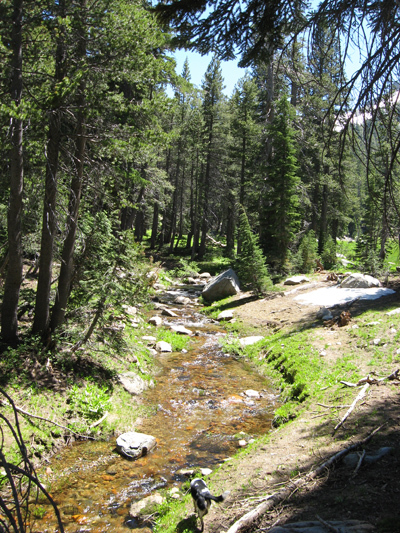 According to Herbst, the streams they studied showed resilience during the first years of the drought, with no significant loss of species richness. “Short-term drought of a year or two may be accommodated, but damages set in with prolonged drought exposure,” he said. “Climate is changing at a fast pace, and it will be important to understand how aquatic ecosystems are affected by the climatic whiplash of conditions that swing between extremes of drought and flooding,” Herbst said. In addition to Herbst, the coauthors of the paper include Scott Cooper and Sheila Wiseman at UC Santa Barbara, Robert Medhurst at the Sierra Nevada Aquatic Research Laboratory, and Carolyn Hunsaker at the Forest Service Pacific Southwest Research Station in Fresno. This work was supported by the U.S. Forest Service.